The final section is, by contrast, a meagre 7%. But, after fighting up the 23% it feels very painful. Obviously the climb rewards careful pacing. The temptation to go too hard at the start will leave you in oxygen debt before you hit the hardest part of the course. I went to check out the climb in September, after racing up the Cat & Fiddle. I used a time trial bike for the Cat & Fiddle climb (averages 3%) so unfortunately had to do Mow Cop on a slightly heavy TT bike. The hill was very popular with cyclists, I saw quite a few youngsters riding up the hill. Quite a few were also walking up the hill, defeated by the gradient. But, it’s a great sense of achievement to reach the top and there are great views of the surrounding valleys. A great view from the top if you can enjoy it! Walking is allowed, but not on the steep bit! Mow Cop in the rain. Oct 2013. 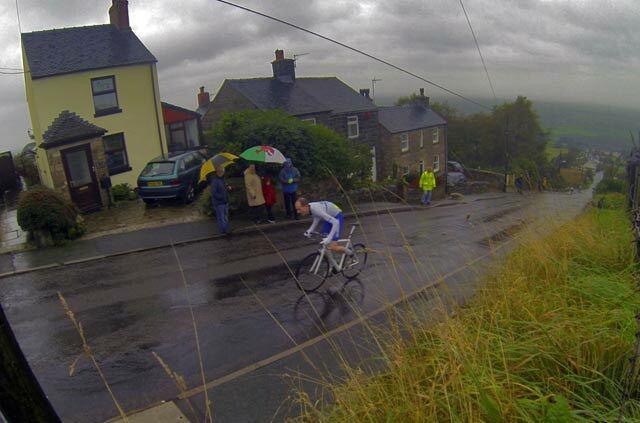 This was during the Lyme Racing hill climb. I set a new course record of 4.22 (link) THe road was very wet, and there was a bit of wheel slip. 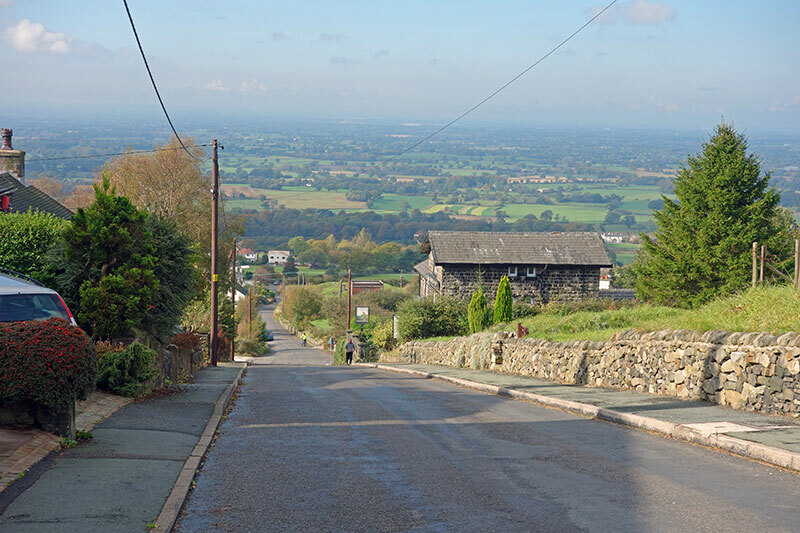 Lyme Racing Club organise a hill climb on Mow Cop every year. 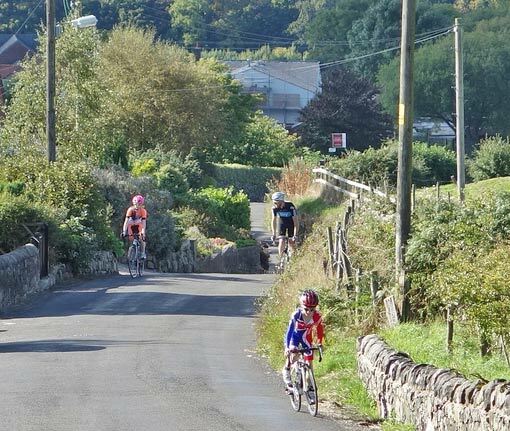 The hill climb course is just 0.8 miles.Entry is just £6. Start after the level crossing at the bottom of Drumber Lane. Proceed along Drumber Lane to join Station Road. 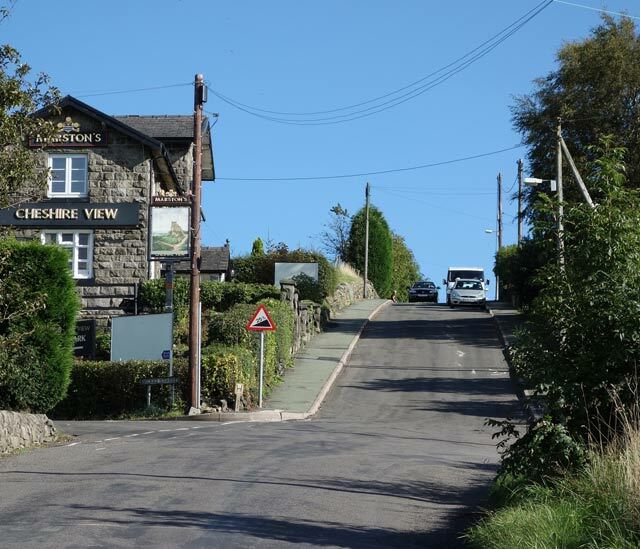 Proceed up Station Road to pass the Cheshire View public house, crest the 1 in 4 section and finish approximately 10 yards after the crest, before the junction with Close Lane. Total distance approximately 0.75 miles. 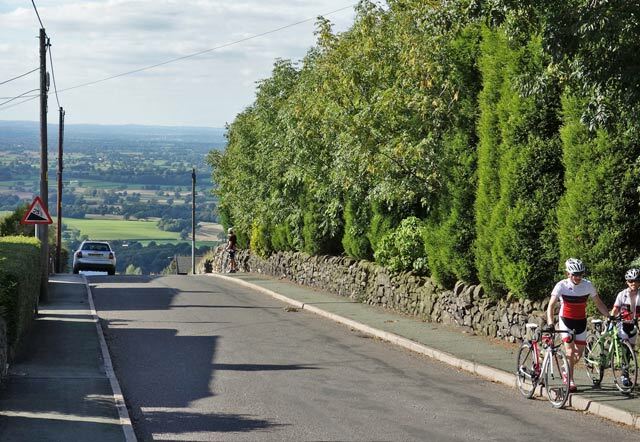 Mow Cop features in quite a few sportives, such as the UCI Wiggle Cheshire Cat. Run in spring, the Cheshire Cat starts from Crewe F.C. 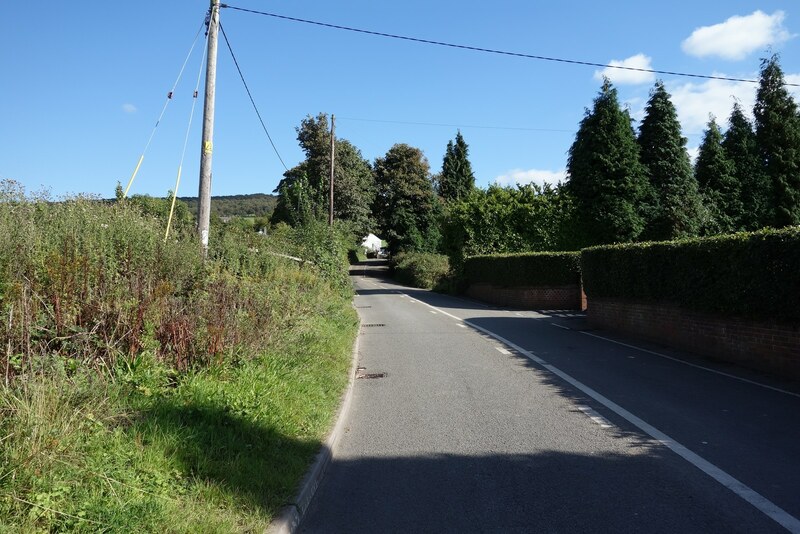 and meanders 76 miles around Cheshire before finishing with the final lung bursting ascent of Mow Cop. 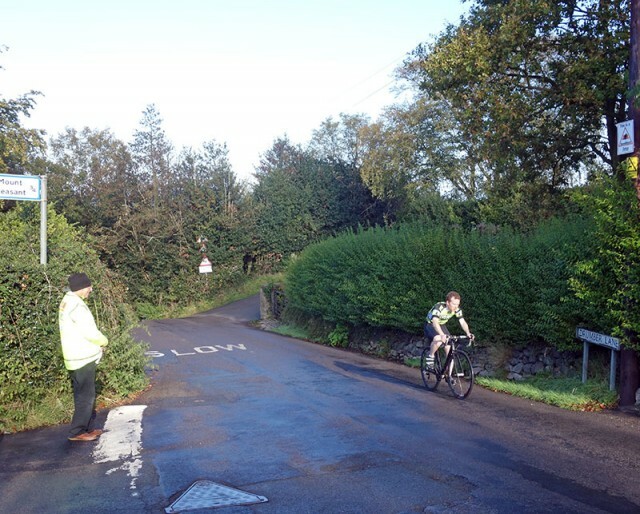 It is a challenging early season test, and it’s not every rider who can get up Mow Cop without walking. 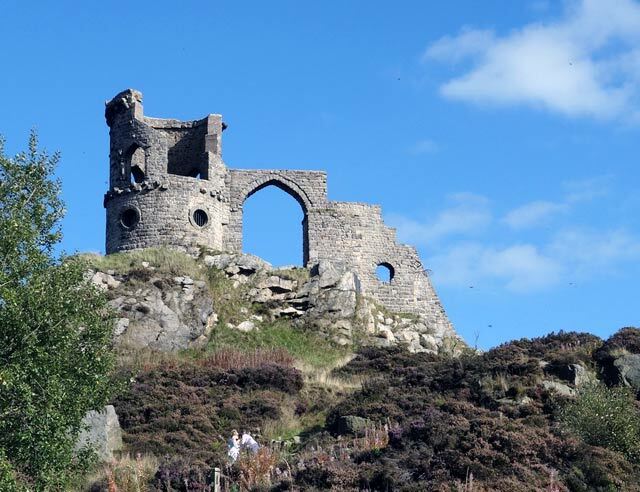 Mow Cop was the venue for the national hill climb championship in 1952. It was won by Brian Robinson (Huddersfield RC) in a time of 3.41 – (I assume a shorter course than used in this open.) Brian Robinson went on to be the first British winner of a stage in the Tour de France.